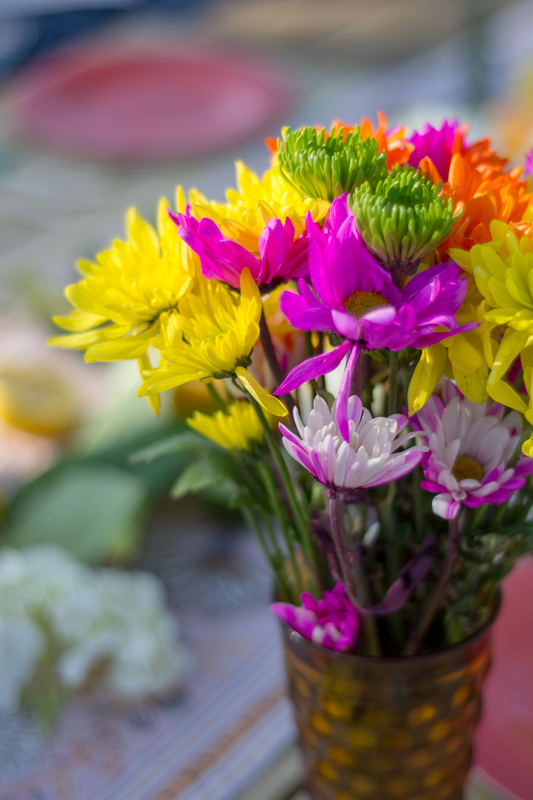 There is still time to host an outdoor meal for you and friends! 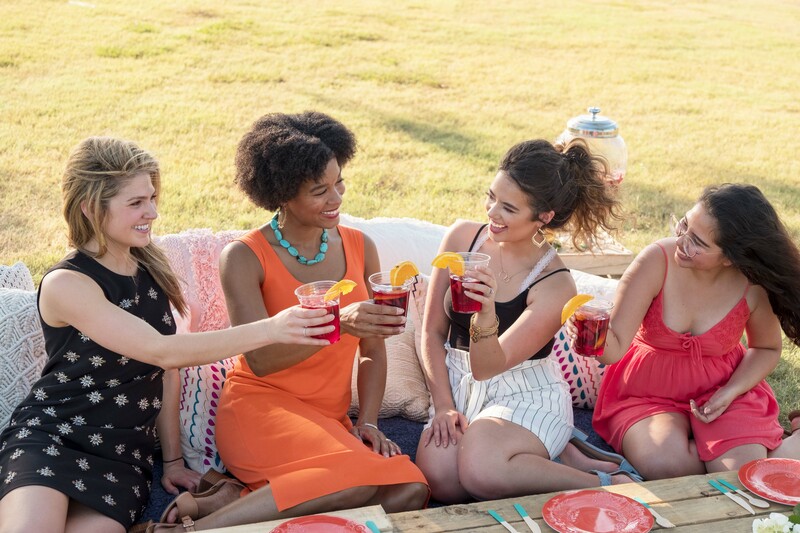 Seize the moment and invite your friends for a lovely evening outdoors for food and drinks. 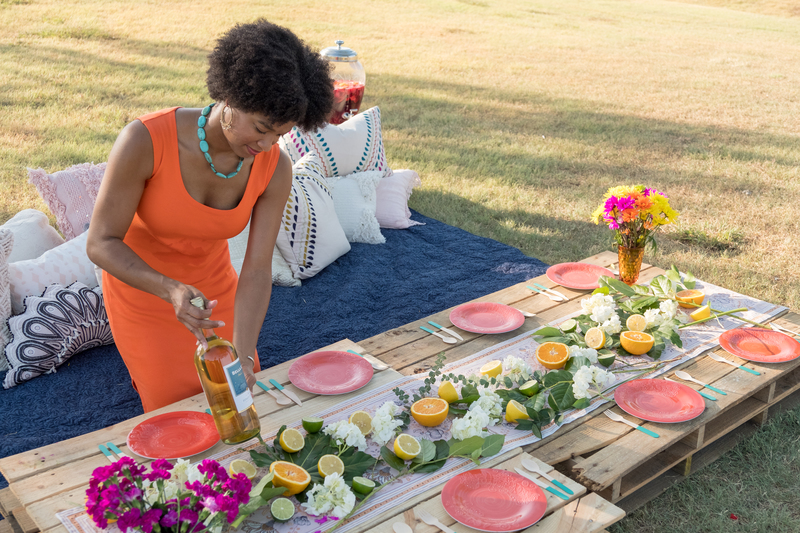 I love to mix things up with al fresco dining, and one of the nice things about moving your party outdoors is the opportunity to choose your setting/venue. This go round I decided to host my al fresco dinner at a local park overlooking a lake. I packed up my necessities and prepared to create a stylish ambiance for relaxing outdoors. 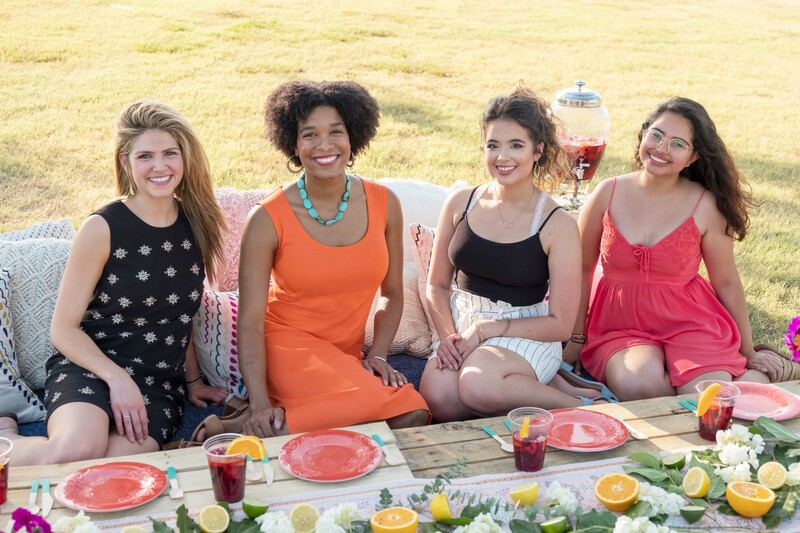 See how it all turned out in my video below, with my tips for hosting a chic meal outdoors. 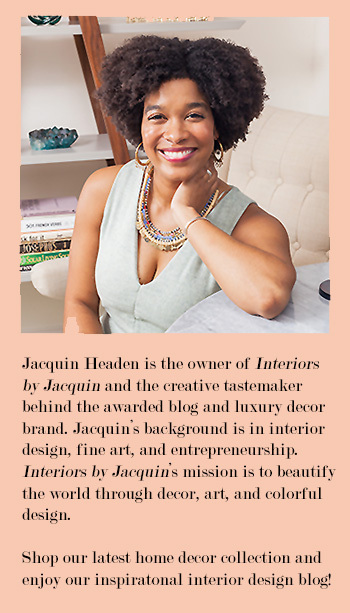 Thank you to Modern Luxury Interiors Texas for sharing this fabulous outing in their August magazine edition. 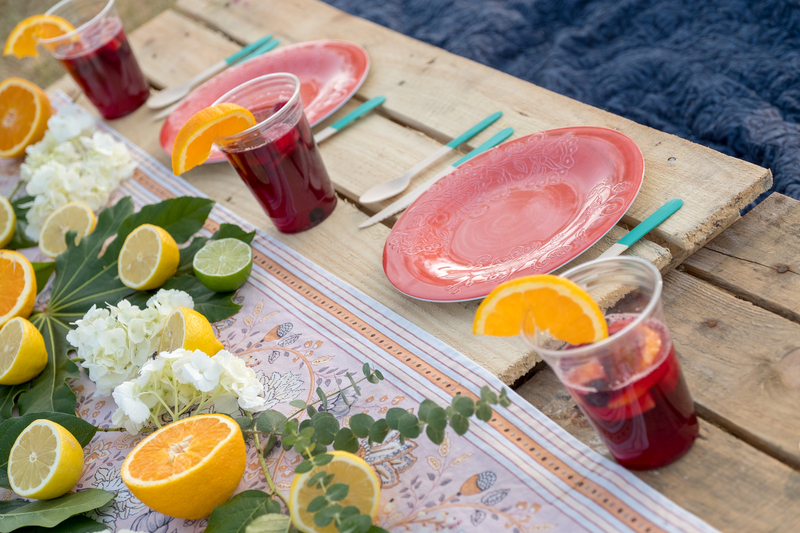 We’ve prepared a video with 4 great tips for al fresco dining at the end of this post, but I’ll give you a teaser here. 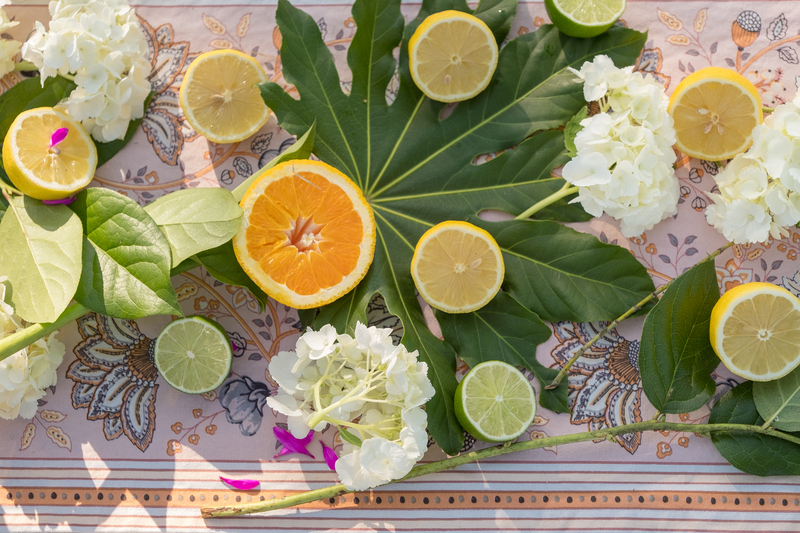 Try decorating your outdoor tablescape with fresh cut fruit for a vibrant and fresh look. It adds a chic touch to your outdoor dining space, plus it’s easy and inexpensive!